Spain is far from achieving the desirable goals in terms of energy savings in construction and rehabilitation. The data that is offered are worrisome and the adoption of solutions that reduce consumption is a priority. Traditionally, the measures articulated in order to promote energy efficiency in this sector have focused on the use of renewable energy, but evaporative condensation cooling is essential to achieve energy savings. A report published recently by EuroACE (Alliance of Companies for Energy Efficiency in Buildings), shows that, in general, Spain is still far from efficient. 84% of Spanish buildings consume more energy than they should and do not take advantage of the opportunities that different technologies can offer them. The data that are offered are worrisome and the adoption of measures to reduce consumption is a priority. Moreover, if the appropriate solutions are not adopted, the International Energy Agency suggests that global energy demand will increase by 50% before 2050. 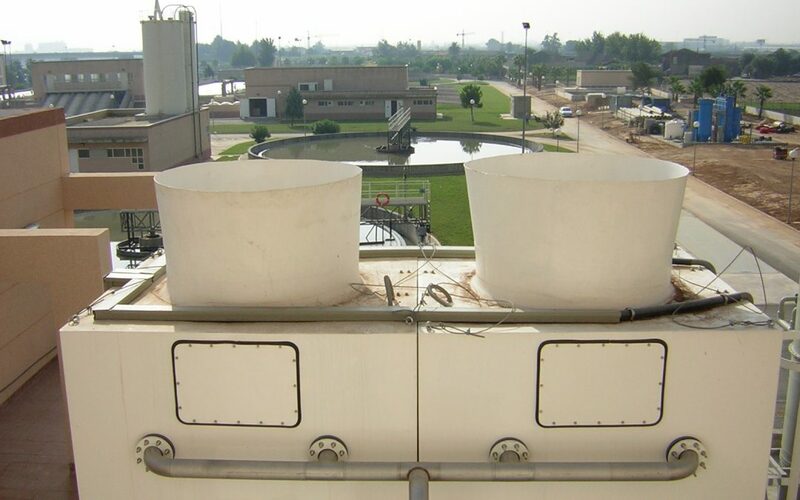 In this context, evaporative condensation cooling (cooling towers and evaporative condensers) is essential to achieve energy savings because, regardless of whether it is industrial buildings, shopping centers, residential areas or real estate for the services sector , allows to guarantee the energy efficiency in the air conditioning systems of any building. In addition, the savings generated far exceeds the levels achieved by other alternatives, such as air cooling. The conditioning system, whether heating or cooling, used in any building must be a priority from the moment the building is designed, as it is one of the main causes of the high energy demand in the building. the news In Spain, buildings are responsible for 31% of energy consumption. 66% of their energy consumption is due to the use of heating, cooling and ventilation. Only in the Community of Madrid domestic spending on heating, air conditioning and hot water exceeds 23%. In air conditioning and refrigeration installations, energy efficiency and electric power consumption are directly related to the condensing temperature of the refrigerant used: less in evaporative condensation than in air condensation. From the economic point of view, these equipments offer an ideal combination of energy use and installation cost, which results in an optimal investment / performance ratio compared to similar solutions. In addition, the initial average investment is lower and results from rapid recovery thanks to the energy savings generated. It contributes to the reduction of the greenhouse effect by reducing indirect CO2 emissions thanks to the savings in electrical energy consumed, and direct, given the lower risk of gas leaks when working with lower pressures. The use of water is reduced, so that the savings, compared to one-step cooling systems, exceed 95%. The water is recirculated and returned to the environment in the form of steam and drainage water. The technical evolution experienced by these systems in recent years has increased the guarantees of safety and efficiency. Numerous innovations optimize the energy efficiency of cooling towers. This is the case of high efficiency motors, which comply with the IE 2 and IE 3 standards and offer a very high performance. Frequency converters that allow regulation and control of equipment operation contribute to this, so that the need for energy is adjusted to the consumption and maintenance needs. That is to say, the result ends up being an “a la carte” tower operation that allows to guarantee the energy efficiency in the air conditioning systems of any building.